At the risk of stating the obvious: it’s really hard to be an ultimate frisbee announcer. It seems simple: Sit. Watch the game. Talk about the game. Summarize what you just saw. Repeat. In reality, announcers often deal with unfamiliar partners, unreliable roster information, difficult viewing angles, and the sheer difficulty of processing a large amount of visual input on the fly while distilling it into easily-digestible talking points. The proliferation of professional leagues, online streaming, and video on demand has created a need for talented on-air pundits. These efforts have been a mixed bag. 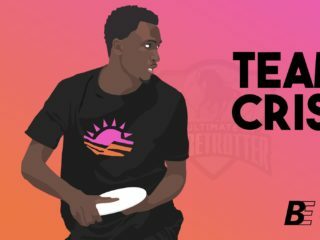 As ultimate commentary goes through its birthing pains, there are a number of things that commentators can do to improve. These are my observations after watching virtually every ultimate broadcast that exists on the internet. Legendary Dodgers announcer Vin Scully prepares a series of anecdotes for each game that seemingly come out of nowhere. Marv Albert gathers every scrap of information he can before each broadcast so that he’ll be over-prepared for any lulls in the action. Did you just find out what a Hodag actually is? Does Jimmy Mickle eat a Chinese chicken salad before every tournament? Does Chain Lightning take a team retreat every year to a transcendentalist meditation center in Big Sur? Let the audience know. Prepare stories, personal insights, and information nuggets to make the discussion interesting and the commentary pop. Color commentators should be more than just window dressing. Current or former high-profile players are the most likely people to have these roles, and they should feel empowered to use their experience to speak about strategy. Did one of the cutters do a good job of attracting a poach defender to free up a wide-open deep cut? Did the marker lunge to the open side, getting themselves off balance to stop a break huck? Broadcasting booths need color commentators to jump in immediately when the play-by-play announcer stops describing the action to break down both the obvious and less-obvious aspects of the previous point. This call is so imprecise as to be meaningless. Rarely is anyone actually on the sideline when this is said, and it offers little information to the viewer. Radio would be a better medium for locational calls, but even so, saying a throw is going “up the break side” or “up the force side” makes more sense. That’s what a hammer is/does. Certain plays deserve to be highlighted. 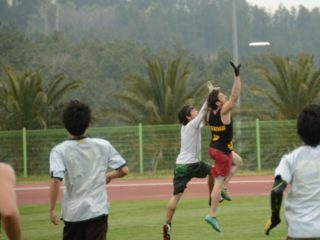 The unique characteristics of the disc mean that ultimate provides more opportunities for physics-altering throws and jaw-dropping plays than other sports. Not every throw, catch, score, or D, however, is “huge,” “massive,” “sick,” “amazing,” or “unbelievable.” The plays that invoke these adjectives rarely live up to the hype. If something is truly exciting, it will register in your voice and tempo. Don’t manufacture it. 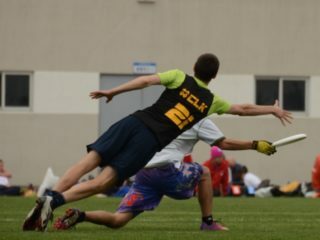 We don’t need to know who has the disc or who he’s throwing to on every single throw. Similarly, don’t announce every pivot, arc of the disc path, hairstyle, wind shift, area of the field, etc. People are watching the game, not listening on the radio. 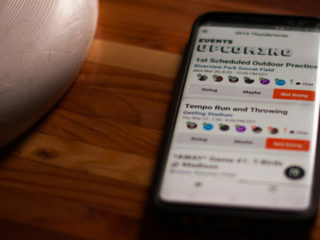 Fill some of the more mundane action with broader strategic points and give details only for crucial throws and catches. Don’t feel the need to fill every silent moment. It’s really really hard to speak for two hours straight, and by cramming in dialogue the viewer feels rushed and overwhelmed. 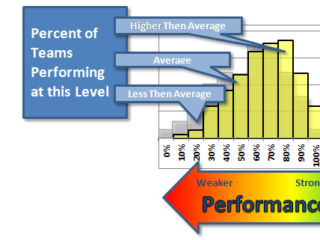 Develop deliberate pacing and stop talking over each other. Say the first and last names of players when you initially mention them. After, just use their last names. NBA announcers don’t say “Lebron James passes to Dwyane Wade, out to Chris Bosh, back to Lebron James, back to Dwyane Wade for the finish!” Yes, professional athletes like Lebron James are famous enough to identify by one name and ultimate players usually aren’t. Using complete names every time a player is referenced, however, bogs down the broadcast and becomes repetitive. This is a phenomenon that exists across the board in ultimate, but rarely in broadcasts of other sports. For some reason, people that make bold, confident proclamations off the field have a tendency to clam up in front of the camera. Stop using hedge words and phrases (sort of, kinda, a bit of, a little bit, slightly, Mamabird is gonna want to swing the disc, Savage can’t quite get there) and be clear and confident with your statements. This has a tendency to bleed into general pundit douchebaggery, but it’s always best to err on the side of over-confidence. A corollary: stop using “there” and “here” as an adjective (Savage to Pottinger there, UNCW wants to be aggressive here, Loach with the disc there, he’s getting so excited there). You wouldn’t do this off camera, so don’t do it on camera. Announcing players as “Doobsack,” “Skipper,” “Cannonball,” and “Munch” may be cute once, but only once. Keep these points in mind for future ultimate broadcasts. Commentating may be in its infancy, but will improve leaps and bounds as the sport matures.